Last week’s Helpful Hump-day Hints were all about how I was organizing for some day trips last weekend. 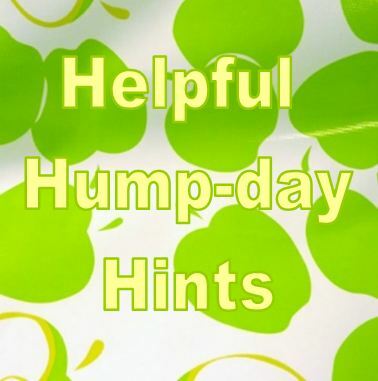 Today’s Helpful Hump-day Hints (HHHs) are about what I learned! For the most part we were organized and prepared – but you always learn something new! We went to Sesame Place but these hints would be useful for any amusement park. HHH#1 – Bring a handful of plastic sandwich and freezer bags. (I did pack water, juice boxes and snacks so we could avoid spending too much extra money) but we did have lunch. (and it wa$ expen$ive!) Of course, the excitement of being at Sesame Place made it hard for our little one to concentrate on food – and I wish I had some plastic bags to save the lunch for later. This is really 2 hints I guess – PACK YOUR OWN FOOD IF YOU ARE ALLOWED AND BRING EXTRA ZIPLOCKS! HHH#2 – Are you visiting a water park? Bring a reusable shopping bag for all your wet bathing suits and towels. I grabbed one on the way out the door and I was so glad I did! HHH#3 – Is there a big show, parade, or main attraction on the schedule for the day? Does it happen more than once? Forgo it the first time (that’s the time to get in line for the rides while everyone is running to see the show!!) and watch it the last time it is offered. So that’s what I learned! Hope these hints are helpful when you plan your next outing. We had a great weekend – looking forward to visiting the zoo this weekend and bringing extra ziplocks!! What is something you always do when taking a day trip? Leave me a comment and let me know what makes your life easier! Have a great rest of your week and thanks for reading.